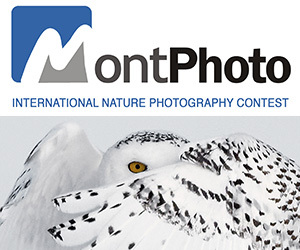 Announcing the 9th Annual 2013 Photoshare Photo Contest – a popular international event mobilizing amateur and professional photographers to share their photos for charitable and educational use. The contest has a top prize of $1,000 USD. Deadline for Entries: January 31, 2014. Entries are accepted through Photoshare’s Upload Photos submission form. Photoshare’s 9th Annual Photo Contest features the HIFA2015 Photography Award, spotlighting the critical role of Healthcare Providers. The contest leverages HIFA2015 as a key partner to further expand Photoshare’s reach and impact among health professionals working to improve the availability and use of healthcare information in developing countries. In addition to cash prizes awarded to 1st, 2nd and 3rd place winners, participants submitting entries to the featured Healthcare Providers category, are also eligible for an additional cash prize, the HIFA2015 Photography Award, sponsored by Healthcare Information For All. 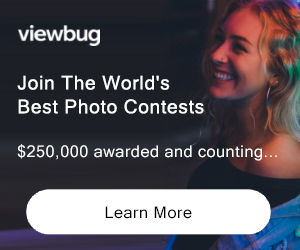 Best of Show images will be selected based on topic relevancy and technical execution by a panel of independent judges. Contest winners and finalist will be showcased on Photoshare and hosted on a number of other medium to high impact virtual venues. The 2013 Photoshare Photo Contest is brought to you by the Knowledge for Health (K4Health) Project, a USAID funded project at Johns Hopkins Bloomberg School of Public Health Center for Communication Programs (JHU·CCP), in partnership with FHI360, Management Sciences for Health (MSH), IntraHealth International, and HIFA2015 (Healthcare Information For All by 2015), a global campaign administered by the Global Healthcare Information Network. PRIZE DETAILS: Cash prizes awarded to 1st, 2nd and 3rd place best of show winners. Participants submitting entries to the featured Healthcare Providers category are also eligible for an additional cash prize, the HIFA2015 Photography Award. At a minimum, digital images must be approximately 1600x1200 pixels Not eligible to enter? - Find contest where you are. COPYRIGHT: Entries that violate copyright or the laws of the country in which they were taken are not acceptable. USAGE RIGHTS: By entering the contest, the Participant grants to The Johns Hopkins University, on behalf of Photoshare at the Johns Hopkins Bloomberg School of Public Health/Center for Communication Programs (CCP), a non-exclusive, worldwide, perpetual, royalty-free license to use such photographs in its Photoshare database, and grants all such other rights, including the right to sublicense, the right to copy, distribute, publicly display or perform, and the right to create derivative works, as may be necessary to meet the requirements of the Photoshare database, and to fully realize and carry out the purposes thereof, without requiring The Johns Hopkins University to notify the Participant, seek the Participant's permission, or owe any form of compensation to the Participant. This agreement will apply to all photographs and other submissions supplied to CCP by the Participant and shall remain in full force and effect until cancelled in writing by either party or superceded by a subsequent agreement. The Participant understands that these images will provide useful information related to people, their living conditions, and their health, and that requests to use the photos will be carefully screened for appropriate and respectful objectives.